What went so wrong in the midterm elections, and what can Democrats do about it? Party strategist Celinda Lake says get an economic message. As the nation celebrates Veterans Day, former ambassador and Under Secretary of State Robert Hormats says foreign policy has to be bipartisan. And Bill Press talks with Zeke Miller of Time Magazine. November 9, 2014 Celinda Lake on the Democrats’ drubbing, former diplomat Robert Hormats on bipartisanship in foreign policy, and Bill Press interviews Zeke Miller of Time Magazine. Celinda Lake The midterm elections did not produce the outcomes progressives worked for, but Democratic strategist Celinda Lake has some thoughts on how the party can recover the next time around. Robert Hormats Foreign policy is too important to be caught up in partisan politics, says former Under Secretary of State Robert Hormats. He also has some thoughts about what went wrong in Iraq. Zeke Miller Bill Press and his guest, Time Magazine’s Zeke Miller. Hightower Surrealistic rule in the Silicon Valley. Former Congressman and foreign policy expert Mike Barnes offers his thoughts on Ukraine, Western Europe and Florida politics. Economic researcher Tom Malleson makes the case for economic democracy in the workplace. And Bill Press interviews Congresswoman Rosa DeLauro on the border crisis. 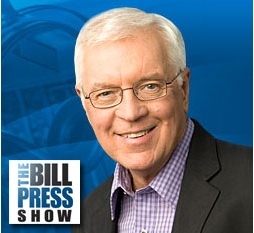 July 27, 2014 Mike Barnes on trouble in Ukraine … Tom Malleson on trouble in the economy and Bill Press with Congresswoman Rosa DeLauro on trouble at the border. Mike Barnes Foreign policy expert and former Congressman Mike Barnes offers his assessment of Vladimir Putin and the struggle in Ukraine. Tom Malleson The Occupy Wall Street movement failed because it didn’t spell out concrete alternatives to the current economy, says researcher Tom Malleson – who lays out his alternative – economic democracy in the workplace. Rosa DeLauro Bill Press and his guest, Congresswoman Rosa DeLauro of Connecticut discuss the trouble on the border. 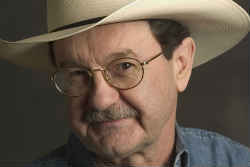 Jim Hightower What job creation numbers don’t tell us. The ever-provocative economics writer David Cay Johnston predicts riots and revolution if income inequality continues on its present course. Activist Valerie Ervin talks about her organization for working families and how building coalitions can actually move the needle toward more social justice. And Bill Press interviews political prognosticator Jennifer Duffy about the 2014 election outlook in the Senate, a “jump ball” situation. Mar. 23, 2014 Provocative ideas about the growing income gap from journalist David Cay Johnston and social justice activist, and former officeholder, Valerie Ervin. And the 2014 Senate election outlook from Jennifer Duffy. David Cay Johnston Pulitzer Prize winning author David Cay Johnston says if the current income inequality trend continues we are going to see riots and revolutions. Trickle-down doesn’t work, he says. Instead, we have “Amazon up” economics. Valerie Ervin The plight of minimum wage workers and the growing gap between rich and poor “is not the America we signed up for,” says former officeholder and now social activist Valerie Ervin. Jennifer Duffy Bill Press and his guest, Jennifer Duffy of the Cook Political Report. 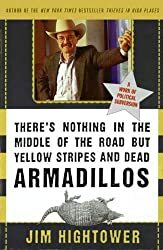 Jim Hightower The symbolism of one adjunct professor's death.